In our home, the holidays are not complete without chocolate: mole, tamales, champurrado and plenty of chocolate desserts. Despite our arsenal of flourless chocolate cake, chocoflan, chocolate sugar cookies, chocolate biscotti, and homemade chocolate mousse, there is always room for a little more chocolate decadence. 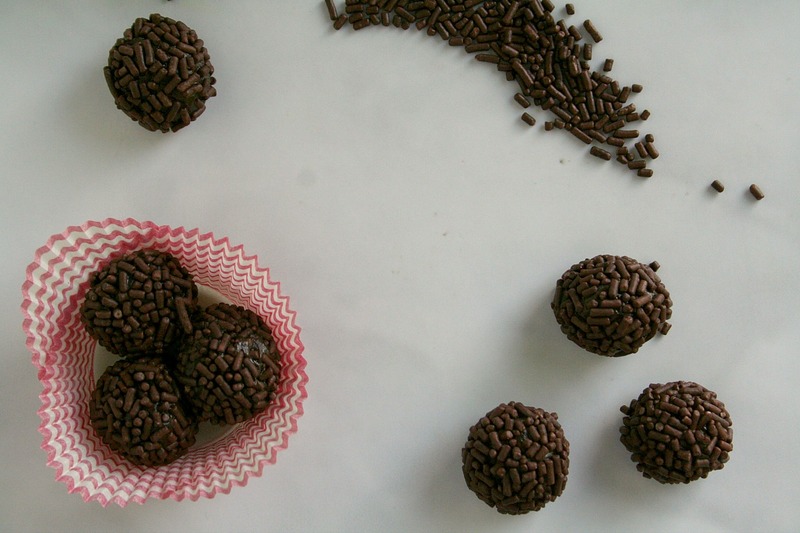 This year we have made Brigaderios, or Brazilian-styled chocolate truffles. Typically, I would stick to my “classic” recipes for hectic holiday celebrations, but adding this new dish to the spread was a no-brainer. Brigaderios get their name from Brazilian Brigadier Eduardo Gomes. A veteran of the 1922 lieutenant revolt at the Copacabana Fort, he later became a candidate for the Brazilian presidency in 1945. Coincidentally, this was the first year women were allowed to vote for the president. The story goes that the women of Brazil rallied to the side of the handsome single candidate. They showed support by making his favorite chocolate treat to sell at fundraisers for his presidential run. While Brigadier Eduardo Gomes lost the race, the little truffles won the new name of Brigaderios. While it is always difficult to verify food lore such as the story of the Brigaderios, many proud Brazilians would state it as fact. Regardless, the story has a certain romance to it. Back to the truffles though. Unlike regular chocolate truffles, these little guys get their chocolate flavor from the cocoa powder, so do not skimp on the quality. The sweetened condensed milk is basically milk that has the water cooked out of it and sweetened with sugar. The slight caramel taste intensifies further while cooking. So basically you will be getting chocolate truffles with a little bit of caramel. Decadent, indeed. A quick note on your truffles: the mixture will thicken while cooking to a fudge-like consistency. It will firm up further when it chills. Everything from cooking, chilling, and rolling in sprinkles can be done days in advanced. The rolling may prove to be a bit sticky, but lightly coating your hands in butter or cooking spray will allow for minimal mess. 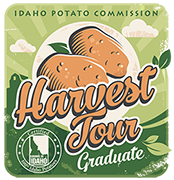 To store, simply place in a single layer in an airtight container and keep in your refrigerator for up to two days. A few batches will keep all of your guests happy this holiday season. You can also dress-up your chocolate treats in crushed pistachios or almonds. 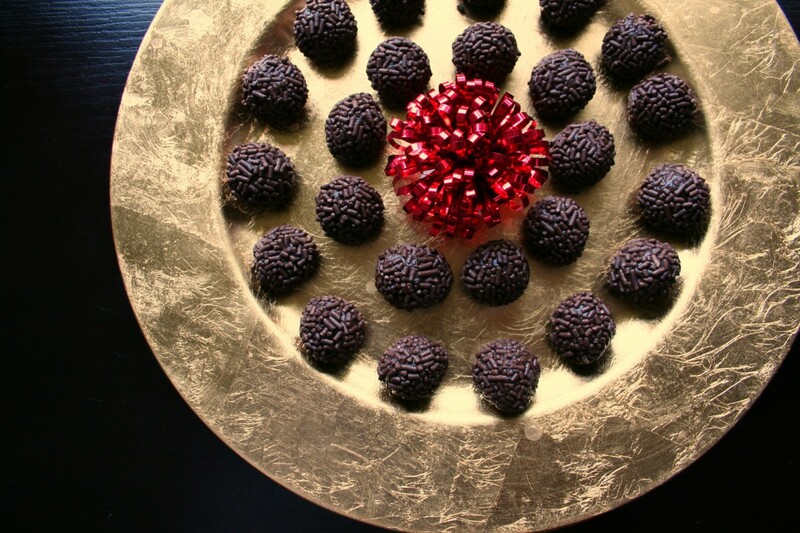 To further dazzle your guests try rolling the fudgy truffles in crushed peppermint or lightly dust with chili powder. 1. Heat the sweetened condensed milk over low heat in a medium pot. Allow to barely come to a boil. 2. Whisk in the cocoa and salt. Stir constantly until it thickens considerably. Again, make sure that the mixture is barely at a boil. 3. The chocolate mixture should begin to pull away from the sides and look glossy, about 10-15 minutes before it is thick enough. 4. Remove from heat, whisk in the butter until well incorporated and shiny. Place in a separate container, or bowl, and chill for 2 hours, covered in your refrigerator. 5. Using a teaspoon, scoop out some of the chilled chocolate mixture and roll into a ball. 6. Roll in the chocolate sprinkles, reshaping as you go. 7. Keep chilled until ready to serve.